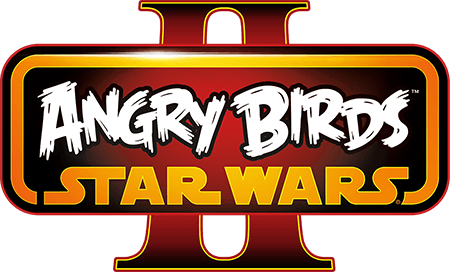 Based on the Star Wars prequels, Angry Birds Star Wars II lets you choose your destiny. 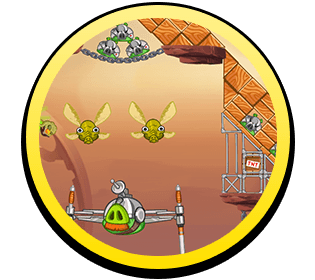 Join the Bird Side to fight the Pork Federation, or take a darker path and join the Pork Side – or both! Our biggest line-up ever of playable characters featuring Yoda, pod-racing Anakin, Mace Windu, Jango Fett and many more! 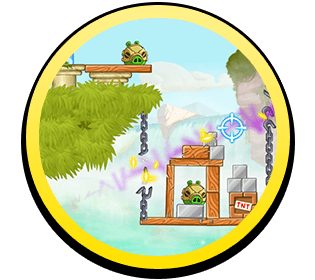 Channel the force to prevail in tons of Bird and Pork Side levels, and an unlockable bonus chapter! 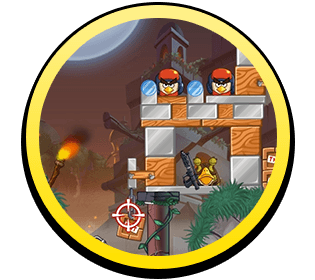 For the first time in any Angry Birds game, switch characters in the slingshot at any time!